Learning management system or the open web? What do you think of this resource? Please click [url]http://svy.mk/e6BP1G[/url] to complete a quick survey. Download the supporting PDF file for this episode [url]http://bit.ly/aL55Yj[/url] from the Learning to Teach Online project website. In this Learning to Teach Online [url]http://bit.ly/d18ac5[/url] episode we look at two different types of online learning environments: a centralised Learning Management System (LMS), and free open access social media (such as Twitter, YouTube, Facebook, etc). We discuss the benefits of each and highlight some important issues that need to be considered when using each of them. 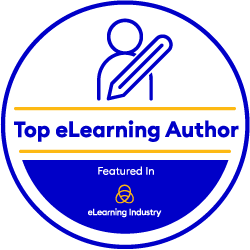 Copyright © 2014 - 2017 eLearning Industry LLC. All rights reserved. Enter your email to be notified on the progress of your submission. Enter the according video title. Copy-paste the address of the original video. Supported sites: YouTube, Vimeo, Dailymotion, Metacafe, TED, Facebook, Google Drive and others. Please enter a brief description of the video's content. Please add maximum three (3) tags for the video to be associated with. Please choose one (1) category for the video to be listed under.